eco-village in Belize, Central America! Only 5 Spaces each date! Connect to your wild heart and the guidance of your intuitive soul, while spending time immersed in vibrancy of the tropical rainforest! Come meet other soul sisters on a journey of yoga + adventure, clearing blocks to your creativity, reigniting your passion + purpose, shifting your vibration through meditation, ritual, dancing + super fresh alive foods! This will include yoga, aerial yoga, meditation, kundalini yoga, chanting/mantra/sound healing, Storytelling, Journallng, Ceremony + Intention Setting, High Vibe Food, Beautiful Vistas, Waterfalls, Ancient Ruins, Mayan Caves, Dancing, Sharing, Sisterhood + Celebration! Akaken the memory, what is wild? Evening Ritual and Meditation. Freestyle movement dance party 🙂 Move our Energy!!! Relax Day. Take a walk around the grounds. Collect items for an altar/ceremony. Hang out in the hot tub. Goddess Circle, Altar and Despacho prayer ceremony + song. Early morning Kundalini Meditation + Yoga Practice. Imagine waking up to the most beautiful sunsets, feeling like you’re at the top of the world immersed in lush treetops and sounds of wildlife all around you. Explore the gorgeous waterfalls and forests of Belize, and spend time in the ancient Mayans ruins. Together we journey inwards and outwards. Spending our days exploring new places and our evenings taking a journey of inner exploration into our inner knowing, natural intuitive self, honouring our playful spirit, keen sensing + wild soul. We will laugh, be inspired, and feel reinvigorated. 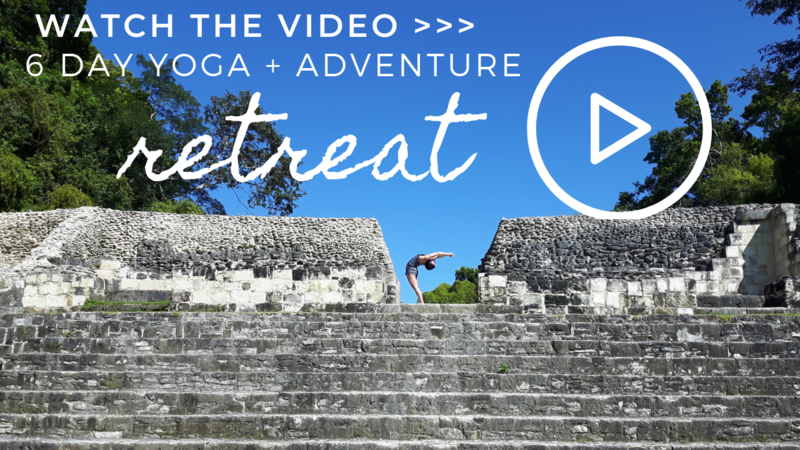 Through yoga, meditation, connection, ceremony, adventure, high vibe, clean eating + FUN – this retreat will be a journey of heart, spirit and play!